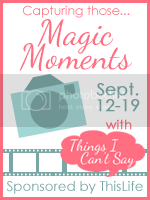 I'm linking up with Shell at Things I Can't Say for her "Magic Moments" week. A "Magic Moment" is something you are so happy to have captured on camera. Here are some of my magic moments. 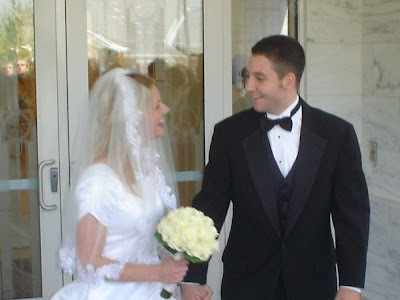 We were married in the Raleigh, NC LDS Temple. It makes me bitter to think about our pictures and photographer from this day, but I LOVE this picture. Noel's friend held his camera up above the crowd and snapped this perfect moment. Christmas Disney World trip 2008. 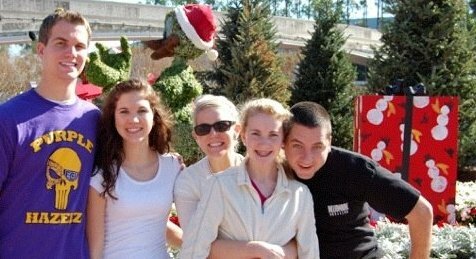 My brother had just returned home from his mission, my sister Jessica had just turned 16, and Noel had just graduated from State. We had a blast celebrating Christmas in Disney! We were both devastated from losing a baby that year. This trip was the perfect get away. The weather was perfect...everything was just what we needed to lift our spirits. Maybe the most magical moment of them all? The birth of sweet baby Charlie. This picture by Cat means so much to me. Could there be a better father/son moment? Look at the love in both of their eyes. Just LOOK at Charlie's face!!! 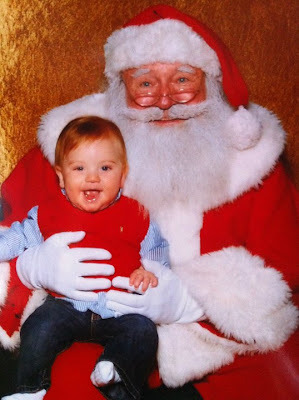 He LOVED Santa and wanted to show him that he had been a very good boy that year. 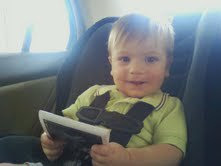 Charlie announcing to the world that he is going to be a big brother!! I'm excited to have more magic moments when Walker arrives next month! Share your special moments here! You have such wonderful pictures and memories! Congrats on the new baby! My favorite of your magic moments is the picture of father and son. Wonderful moment. All the best for the baby to come. Thanks for sharing your moments, Ashley! I am happier person because of you! Such great moments! That one of you holding your baby is so precious! Um, you never told me that your brother was Jason Street. @Mommy's Paradise, I LOVE that picture also!! Thanks for the well wishes! @Shell, Thank you, I can stare at that pic all day..I love it! !